^ Jump up to:a b c Lindner, Matt. "Thrive Market raises $111 million amid rapid growth". Jump up^ Times, Los Angeles. "Online shop Thrive Market earns a chance to bloom with $30-million investment". latimes.com. Jump up^ Chhabra, Esha. "LA-Based Thrive Market Takes On The USDA To Redefine Food Stamps In A Digital Era". Jump up^ "This Site Is The Costco For Healthy & Organic Food Shopping". Jump up^ "Thrive Market, an Online Grocer, Raises $111 Million". The New York Times. 28 June 2016. ^ Jump up to:a b c "2 years ago these founders were rejected by more than 20 investors — now they've raised $58 million and are growing like crazy". ^ Jump up to:a b Perez, Sarah. "Thrive Market brings its organic grocery store to Android". Jump up^ "Thrive Market Is the New Costco for Healthy Foods". 4 November 2014. Jump up^ "Thrive Market to open fulfillment center in Batesville". Jump up^ "Thrive Market opens distribution center in Nevada - nnbw.com". Jump up^ "Thrive Market aims to make natural products more affordable". Jump up^ "EXCLUSIVE: Kristen Bell Opens Up About Thrive's Online Food Stamp Petition, Motherhood, and Possibly More 'Veronica Mars'". Jump up^ "Company On the Rise: Thrive Market". Jump up^ "This startup wants to Kill off the center of the supermarket". 4 January 2016. Jump up^ "Thrive debuts private label brand products". Jump up^ "How to Shop for Health Food Online, for Less!". Jump up^ O'Brien, Sara Ashley (15 September 2016). "USDA takes a step toward letting people use food stamps online". Jump up^ "LeBron James, Carmelo Anthony, Chris Paul donate goods to aid victims of Flint water crisis". Jump up^ staff, Stephanie Casanova Journal. "Program boxes up good will for Pine Ridge residents". Jump up^ "Nikki Reed: Society Has Created a Divide "Between People Who Can Afford to Eat Well and People Who Can't"". Jump up^ "This Delivery Startup Says It's Like Whole Foods Meets Costco". Jump up^ Mic. "For the first time ever, people will be able to use their food stamps online". Jump up^ Mali, Meghashyam (13 July 2016). "Actress Shailene Woodley pushes for online food stamps". Jump up^ "Pence could be Trump's 'ticket' to farm state cred". Jump up^ Tribune, Chicago. "Federal food stamp program to test online shopping for recipients". 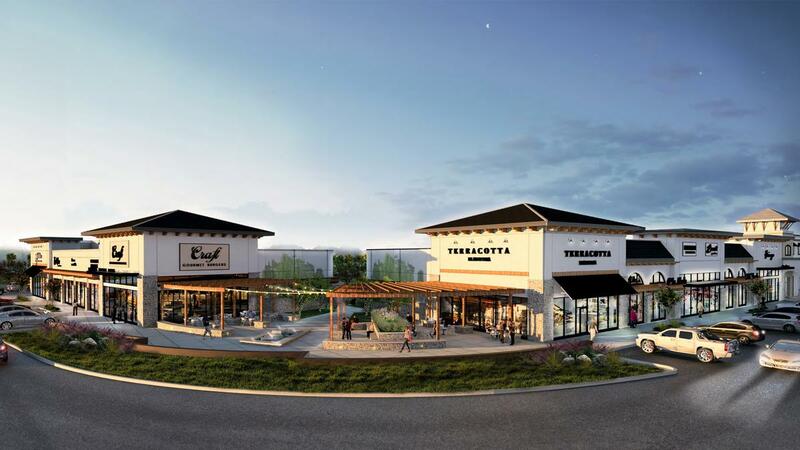 Regency Centers Corp. (NYSE: REG), a Florida-based shopping center developer, plans to build a 165,000-square-foot project in Johnson Development Corp.'s Riverstone master-planned community in Fort Bend County. The Village at Riverstone is scheduled to break ground in the first quarter of 2017 and open in the spring of 2018.